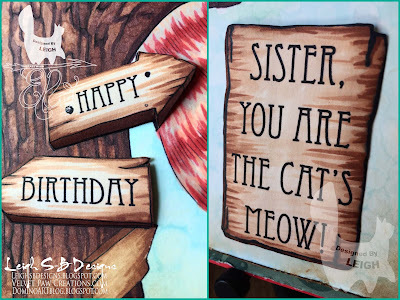 Velvet Paw Creations: "Cat's Meow" birthday card for my sister and The East Wind DT! 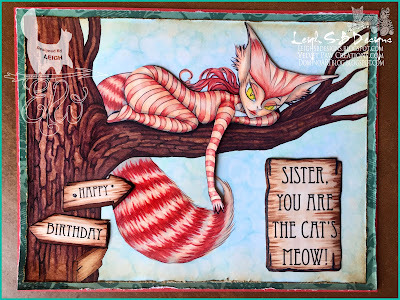 "Cat's Meow" birthday card for my sister and The East Wind DT! 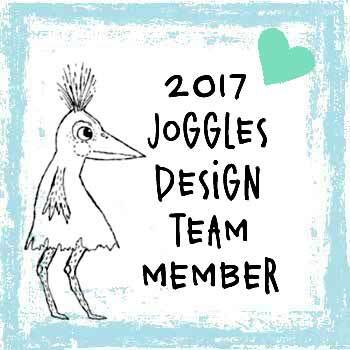 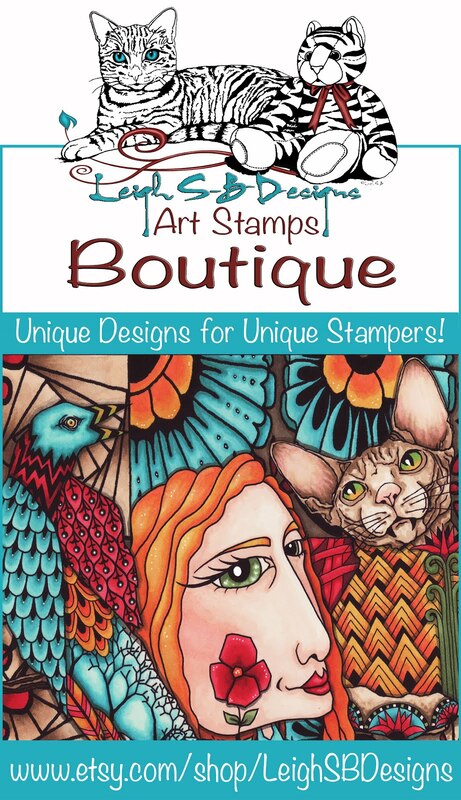 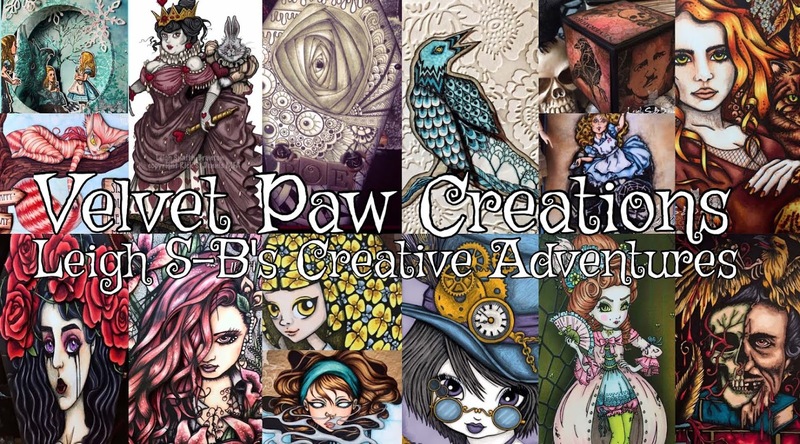 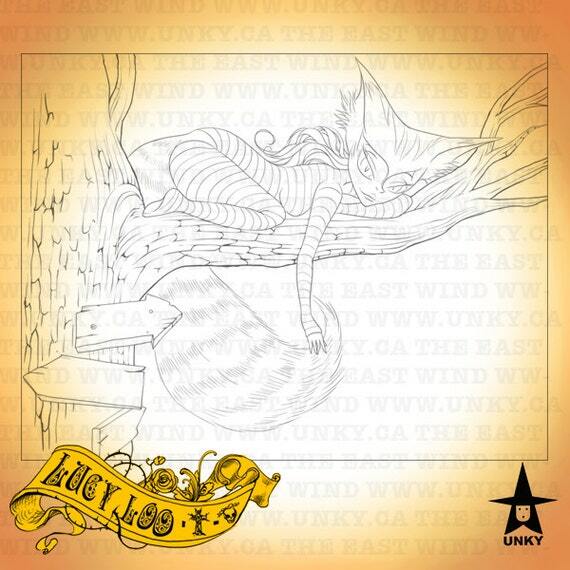 I adore Unky's digital stamps, especially her Lucy Loo line! 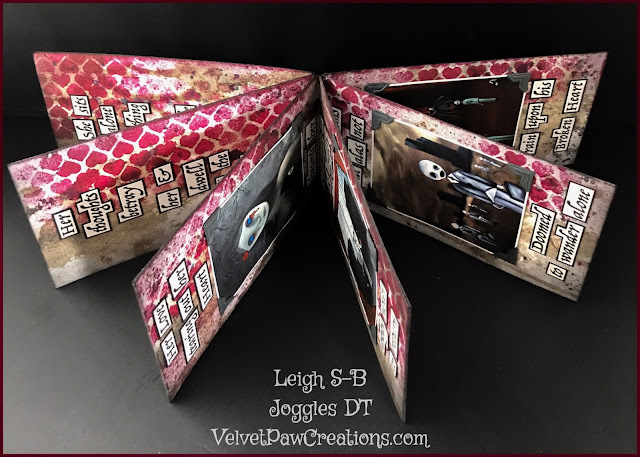 Here's my first project made for our new Challenge "Let 'er Rip - Torn edges/paper! 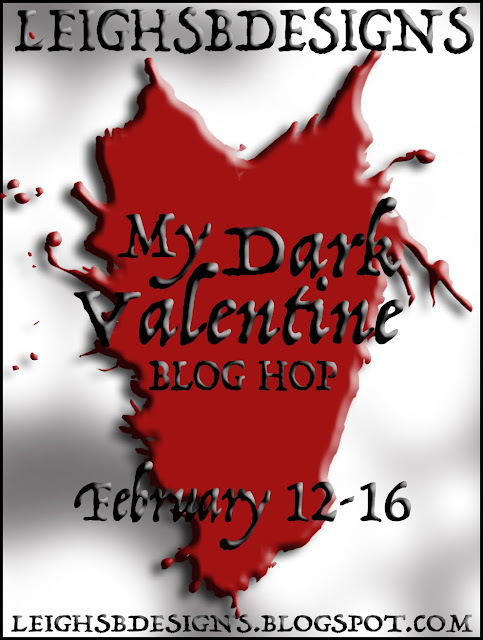 Plus, I'm also sharing a second TEW project today featuring the new release digi for this week too...see my next post! 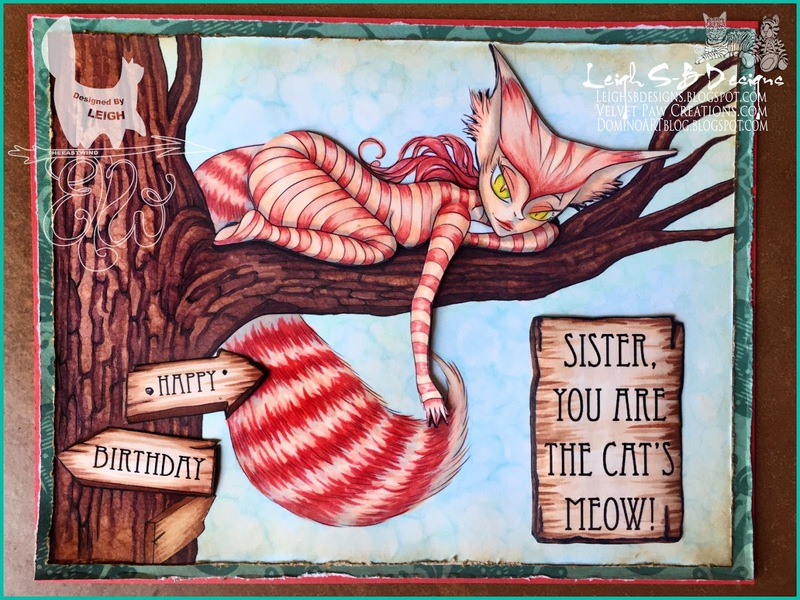 You all know how much I love Alice in Wonderland and Cats and my sister loves kitties too so I made this card for her birthday....Happy Birthday Paula, love ya...mwah! 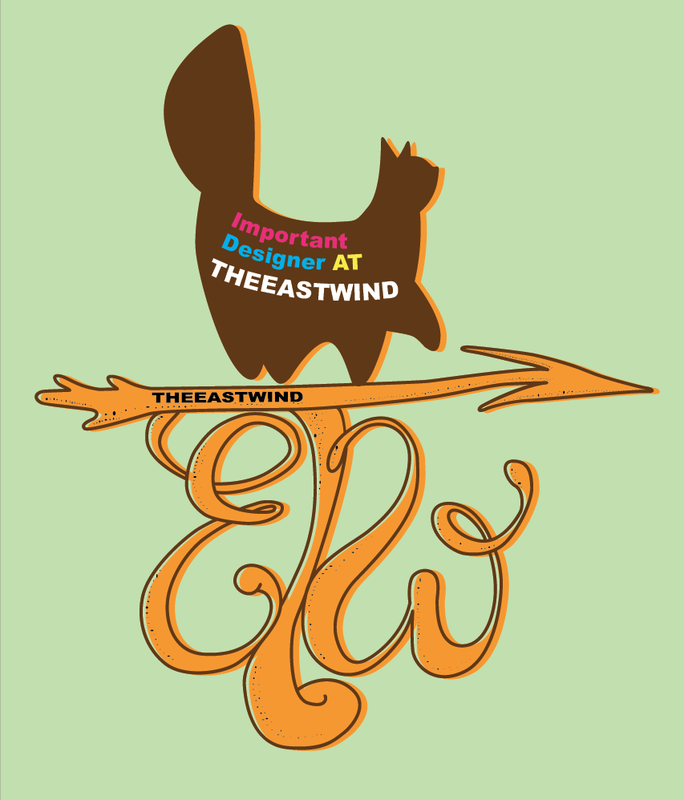 Stop by The East Wind Etsy store to snap her up and check out the entire collection while you're there! I started out in Photoshop CS6 and added the "Happy Birthday" text to the signs on the tree and made my own sentiment and printed out the image twice onto Neenah solar white cardstock. 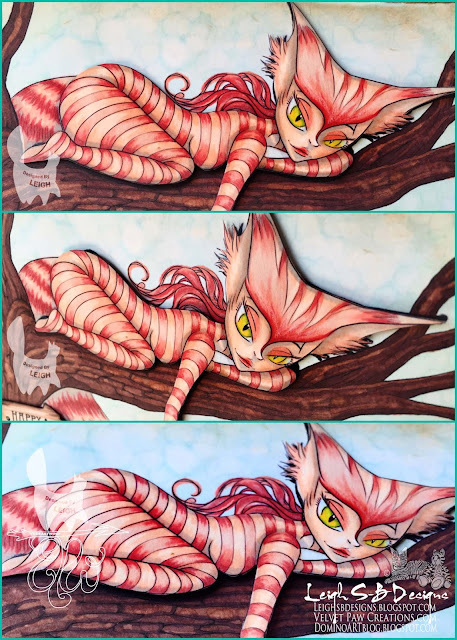 I coloured the cat and the signs with Copics and a touch of Prismacolor pencils on the first copy and the rest of the design on the 2nd. 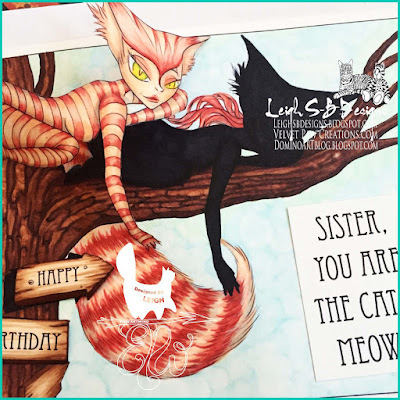 The background was created using Copics and alcohol blending solution. 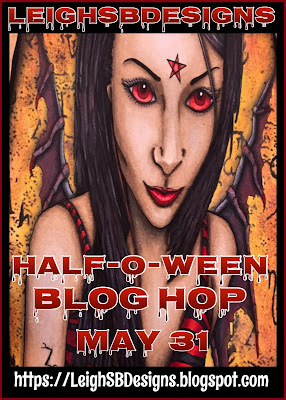 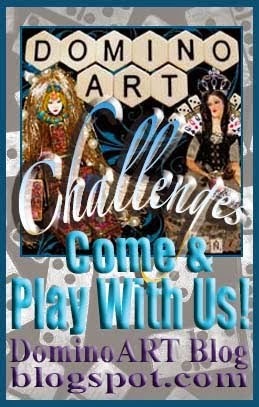 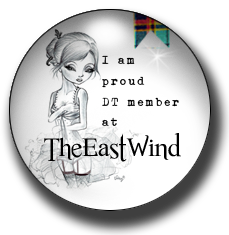 Come and join the fun at The East Wind...we have fun challenges on our Facebook TEW Group and in Blogland too! 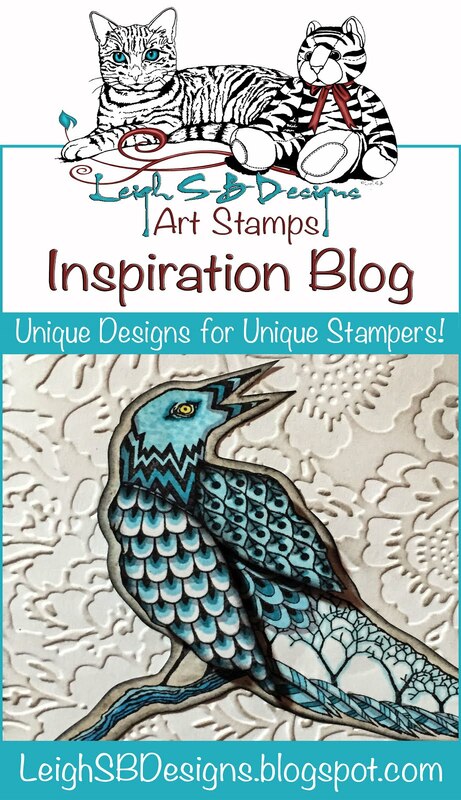 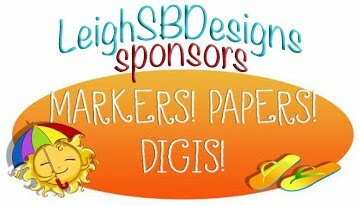 I love this digi stamp, your colours and colouring have transformed it to look really realistic!